As a non-native speaker living outside of Germany, it’s not easy to find good German books for kids. 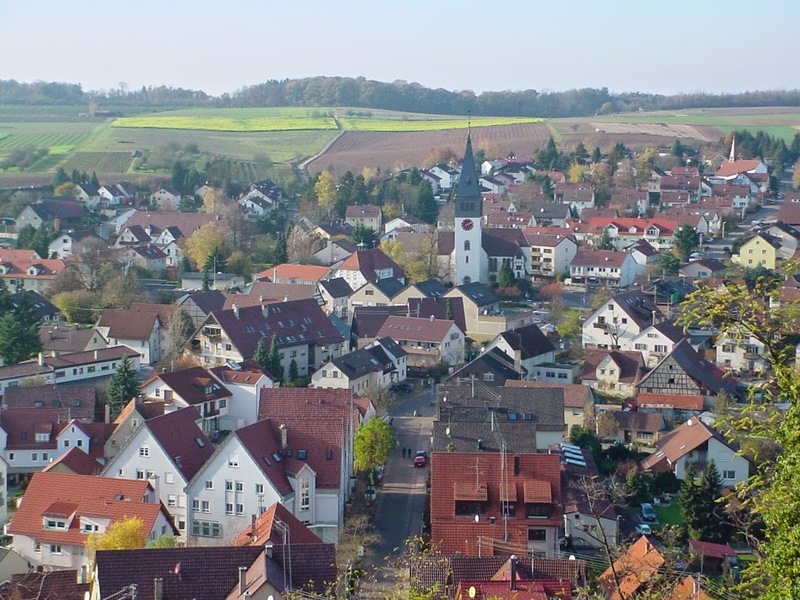 And as my son gets older, his book requirements change and it just gets trickier – since I have to buy German books online (apart from our occasional visit to Germany) I spend ages researching Amazon trying to find the right books. 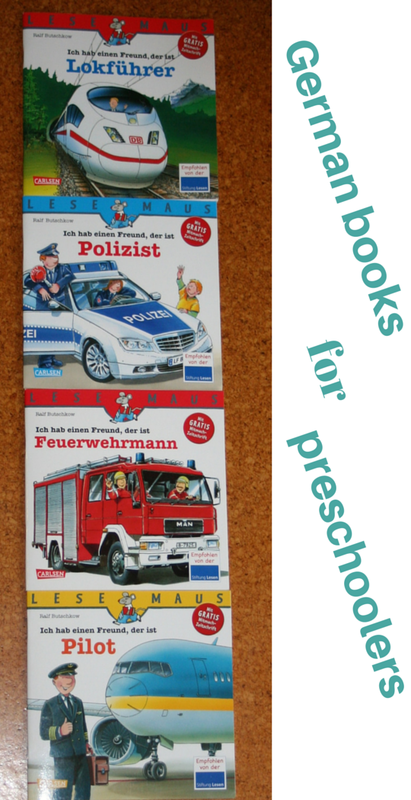 Now that he’s a preschooler, he prefers German children’s books with more words – but of course, when they’re German words, I have to be even more careful about finding books that are both interesting enough for him, and that he can understand, as well. Some time back I tried out a couple of books from a series called “Ich hab einen Freund …” (I have a friend …), which each follow around a family friend who does a particular job. I must say that even as a parent, I find these books interesting and they’re very accessible even for jobs that you might not know much about. Ich hab einen Freund, der ist Müllman – a rubbish truck driver or garbage man – since my son is fascinated with garbage, this is his runaway favourite. We need to replace our copy though as it went missing in the great lost luggage scandal of 2014! Ich hab einen Freund, der ist Lokführer – a train driver – this one’s a favourite with my son right now as we’re preparing for a busy few weeks Eurrailing around Germany and Switzerland, so he’s pretty excited when I tell him that the trains they show in this book look just like the ones we’ll be travelling on soon! Ich hab einen Freund, der ist Feuerwehrmann – a fireman! – who doesn’t love a fireman? I love the way the firemen slip into their trousers and boots all in one fast move. Ich hab einen Freund, der ist Pilot – this is a great one for travelling kids as it doesn’t show just the pilot’s job but all the process of getting into the airport and on the plane when you’re a traveller, too. Ich hab einen Freund, der ist Imker – a beekeeper – we don’t have this one but my son is quite fascinated by the idea of it. Ich hab einen Freund, der ist Fußball-Profi – a professional footballer – I think now that my son’s started kicking a soccer ball around at school constantly, this one should be added to our library. Ich hab eine Freundin, die ist Tierärztin – a vet (yes, there are female ones, thankfully – we just don’t own any yet!) – since we really do have a friend who is a vet (hi Magda!) we probably should have this one too. Ich hab eine Freundin, die ist Zahnärztin – a dentist – looks like a good one to get my son used to the whole idea of visiting the dentist … I don’t think it’ll be his favourite thing! Ich hab eine Freundin, die ist Balletttänzerin – a ballerina! – not for my son, but couldn’t resist since my blog is ballerina-related … sort of … not! There are even more books in the series so you are bound to find some that will capture your child’s imagination. Which one do you think your kids might enjoy?